THE KITCHEN IS THE HEART OF ALL FAMILY GATHERINGS. More often than not, today’s kitchens serve as the family hub – the place where family gathers and friends linger. It’s where families nurture, nourish, laugh and talk. It’s a bustling center of activity, which means the kitchen has high traffic and usually, access through to the outside. When designing and planning a kitchen, considerations for efficient workflow are critical to the success of the project. 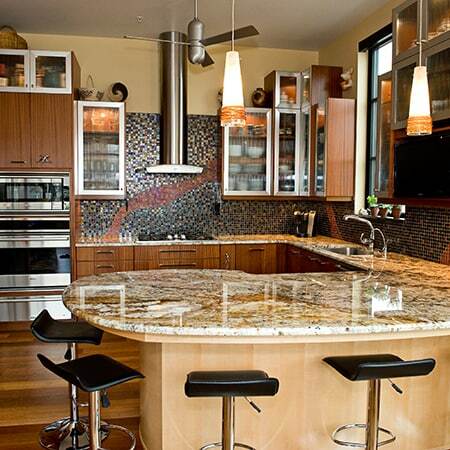 Convenient placement of kitchen sinks, the stove, and the refrigerator is what makes a kitchen a pleasure to work in or an environment where cooks are tripping over each other. 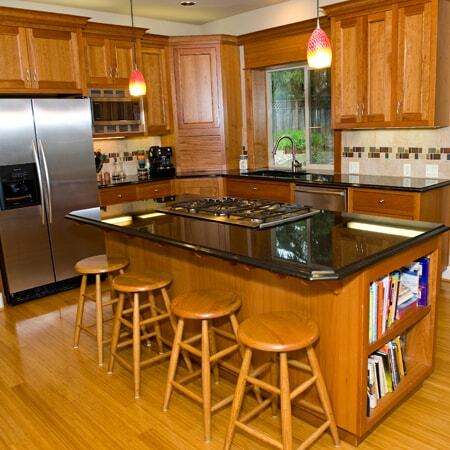 Kitchen surfaces endure heat from pans and water; some surfaces handle these stresses better than others. Wood cabinetry is also exposed to steam and heat. 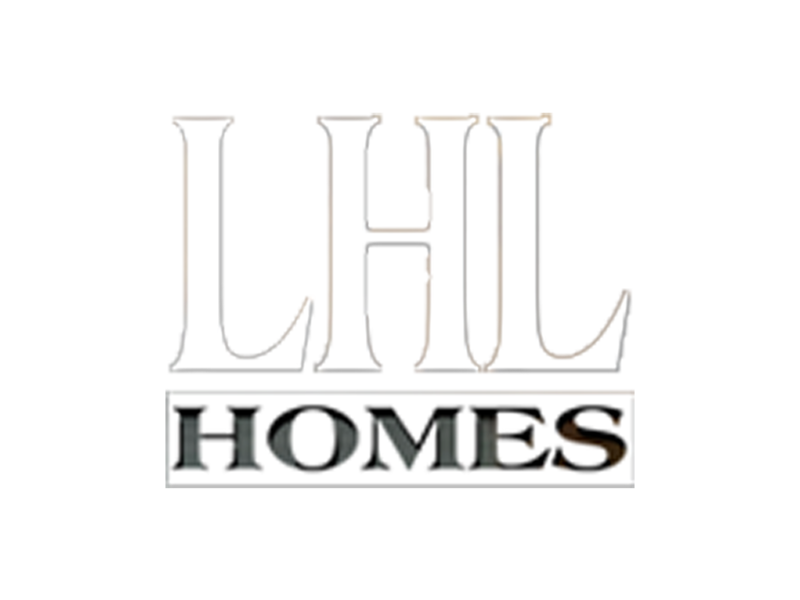 LHL can advise on the different properties and budget points for various kitchen fixtures and bring decades of experience and skill to our kitchen remodeling projects. Learn about the types of fixtures and fittings, cabinet choices, countertops, and floor finishes you have to choose between and what the properties are of each in our kitchen remodeling guide. 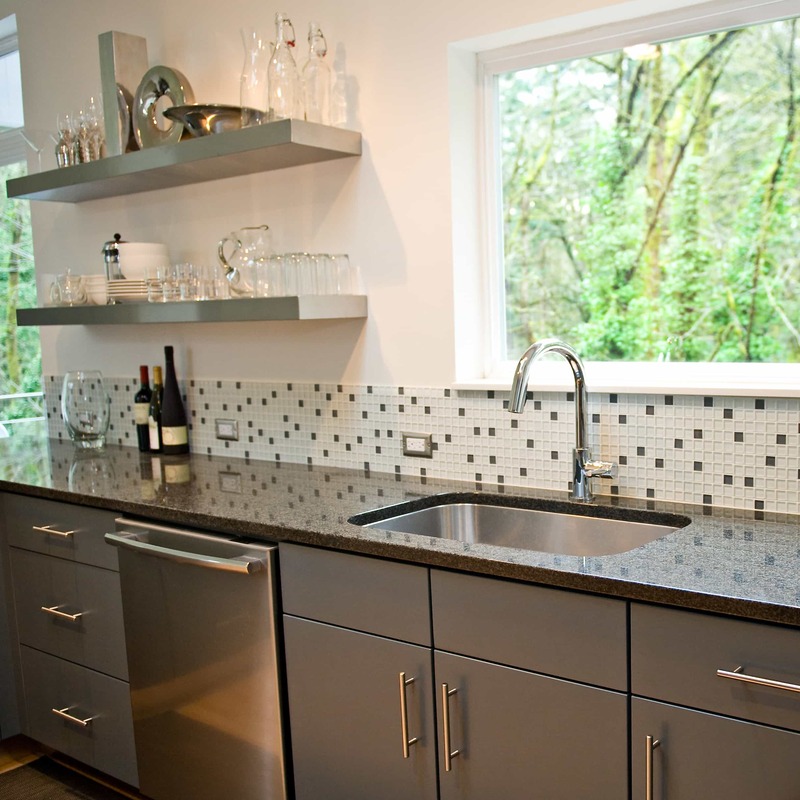 Whatever fixtures and fittings you choose for your Portland kitchen remodeling project, LHL has built relationships with quality vendors and suppliers across the city. 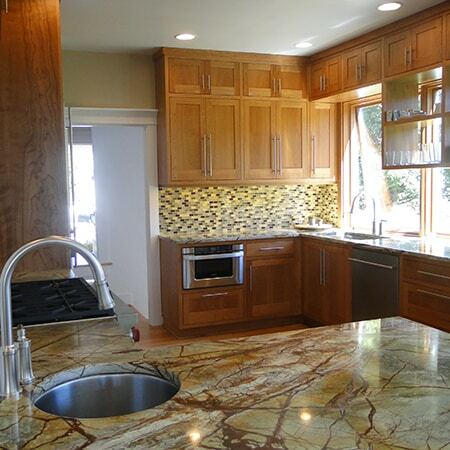 Talk to us today about your kitchen remodeling project.